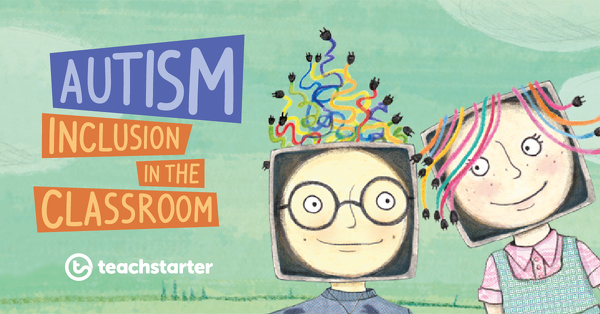 A collection of teaching resources to help you support children with Autism. These include social stories, visual prompts, visual timetables and visual schedules, many of which can be customised to suit the needs of individual students. A poster to use on your friendship board. A social story to develop skills and strategies for sharing with others. A social story to develop strategies and skills for saying sorry to others. A social story to remind students of the rules for school. Use these Chill Out Passes as a classroom management tool. A social story to develop calming down skills for when students feel frustrated. 16 activity cards to use in your classroom when developing social skills. Signs and posters with games to play with your class when they need a quick brain break! Read about how to foster inclusion and be a part of the extraordinary impact of the picture book Fergus and Delilah. These children's books and classroom activities are a must have in any classroom environment! Social stories describe social situations or concepts in a layout that is clear and meaningful for children. Teach Starter have created 25 social stories, templates and pictures for the use in mainstream classrooms.